Kriv is 2 years younger than his older brother, Rhogar. 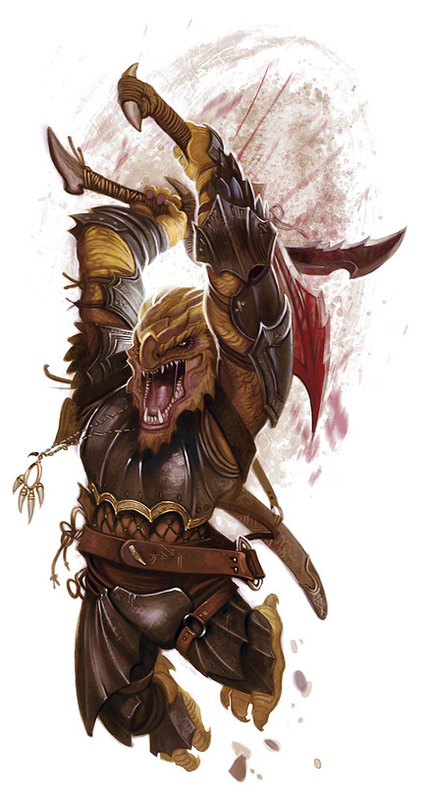 He grew up idolising his brother, as Rhogar was the one who taught him the ways of the dragonborn. When the humans from Brockhelm aligned themselves with the dragonborn, Kriv disagreed thinking that they shouldn't have to share their home with anyone else. No matter how many times he petitioned to have the humans removed from their home, Rhogar declined. After the death of King Edwin, the humans blamed the dragonborn. This angered Kriv, he informed Rhogar if he did not remove the humans he would do it himself. This brought tension between the two brothers and the clan, knowing he was not as strong as his older brother left Castle Medrash and founded the Thava Clan. It is assumed that Kriv along with the Thava Clan and with help from Ostran sacked the castle and took many of the humans as hostages.